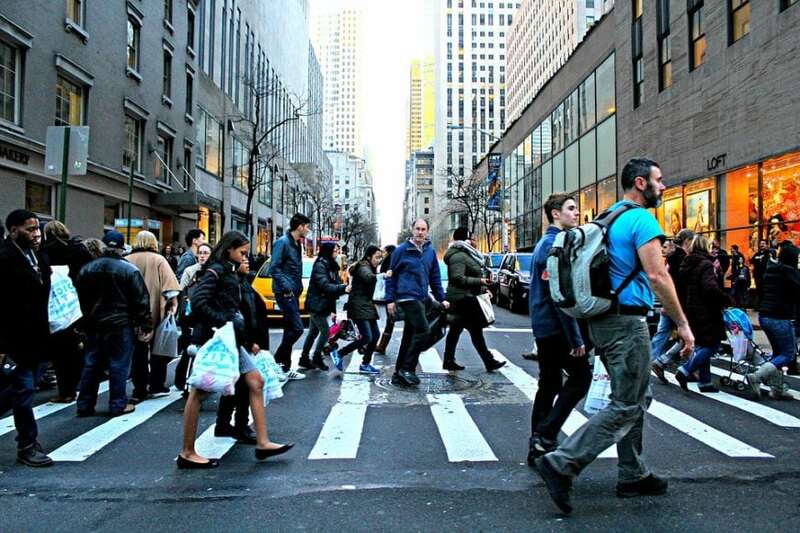 Harvesting energy from pedestrians could be used to power sensors in smart infrastructure, monitor structural health, and provide environmental sensing data. Energy harvesting tiles have potential applications in high-volume pedestrian paths and areas, such as sporting arenas, airports, railway stations, shopping malls, offices, and apartment blocks. However, most of the current research on energy harvesting tiles focus on micro-watts or nano-watts level. State of the art electromagnetic energy harvesting tiles have low energy harvesting efficiency. They also have too large top panel vertical movement that may cause the person who walks on it to feel uncomfortable. Existing energy harvesting tiles can be greatly improved to have a higher efficiency, more power output, and a structure that is more compact for practical use. Researchers from Virginia Tech came up with a novel energy-harvesting tile, which can efficiently harvest kinetic energy from foot strikes. The energy-harvesting tile is designed to be thin (5 cm) so that it is possible to be paved on the ground, just like normal tiles. The displacement change of the top panel during foot strike is transmitted to the rotational motion of generator, and hence the kinetic energy is harvested. New designs, including one-way-clutch and flywheel, are incorporated into the energy-harvesting tile to increase the amount of energy harvested per foot strike. Through modeling and parameter tuning, optimal power output and high efficiency are achieved. The top panel movement is designed to be 6 mm to have the least interference with human walking. The springs under the tile top panel push the top panel back to its original position after the foot strike. Numerous such tiles can be scaled up to form a road or an area. 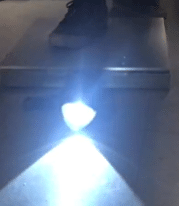 Experimental results show that during typical human walking, the energy-harvesting tile can produce an average power of 3.6 W, with a peak power of 12 W, and an average energy output of 1.8 J per step. This energy-harvesting tile has a much higher efficiency compared with existing energy harvest tiles. As the number of tiles scales up to be a road and as the number of individuals on the tiles increases, the energy harvested scales up. Through energy storage and management, the energy can be used for many applications, such as powering sensors, charging cell phones, or even powering streetlights. The energy-harvesting tile itself can be configured to be sensors to collect pedestrian information to be part of “smart campus.” During evening time, the lights can be turned on and off based on the activities sensed from the energy-harvesting tile scaled-up road. The energy harvesting paver has already been displayed on Virginia Tech ICAT day and tested in public. 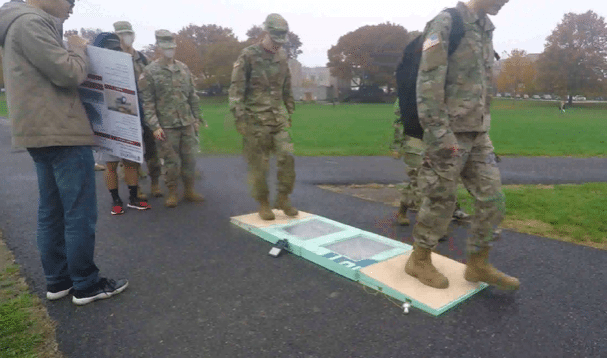 The energy-harvesting tile was designed to be watertight and survived several rounds of tests. The research team has also received donations from the public to finish the research and get ready for installation on campus. Currently, it is under a plan to be installed on the Drillfield at Virginia Tech. These findings are described in the article entitled Design, simulation and experiment of a novel high efficiency energy harvesting paver, recently published in the journal Applied Energy. This work was conducted by Mingyi Liu, Rui Lin, Shengxi Zhou, Yilun Yu, Aki Ishida, Margarita McGrath, Brook Kennedy, Muhammad Hajj, and Lei Zuo from Virginia Tech.